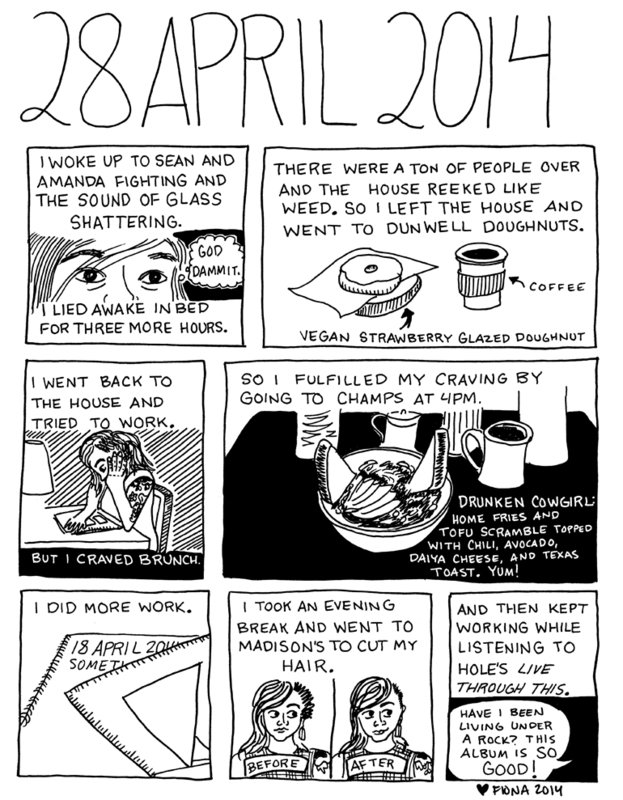 Fiona Avocado | Comics and Illustration. I am now updating my blog at fionavocado.com/blog. Please follow me there! Chicago followers! 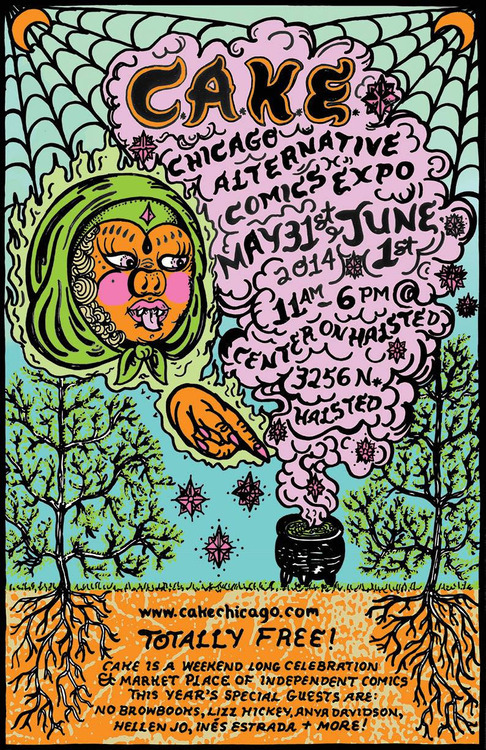 I will be tabling at CAKE (Chicago Alternative Comics Expo) THIS WEEKEND!! The fest is Sat. May 31 and Sun. June 1, at the Center On Halsted (3256 N. Halsted) 11am-6pm both days. 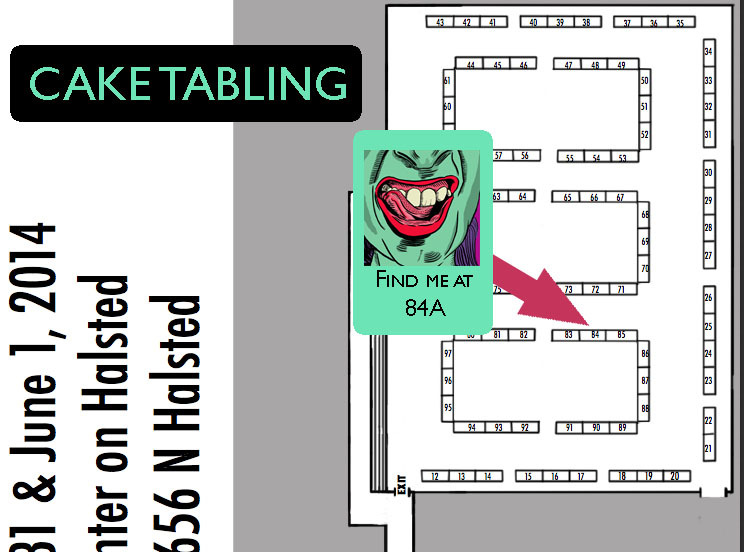 I will be at table 84A [see tabling map below!]. This will be the first fest I will have copies of Thirty Days in Brooklyn, as well as some old gems. Looking forward to seeing you there!! On The Road promo sale!! Hello everyone! 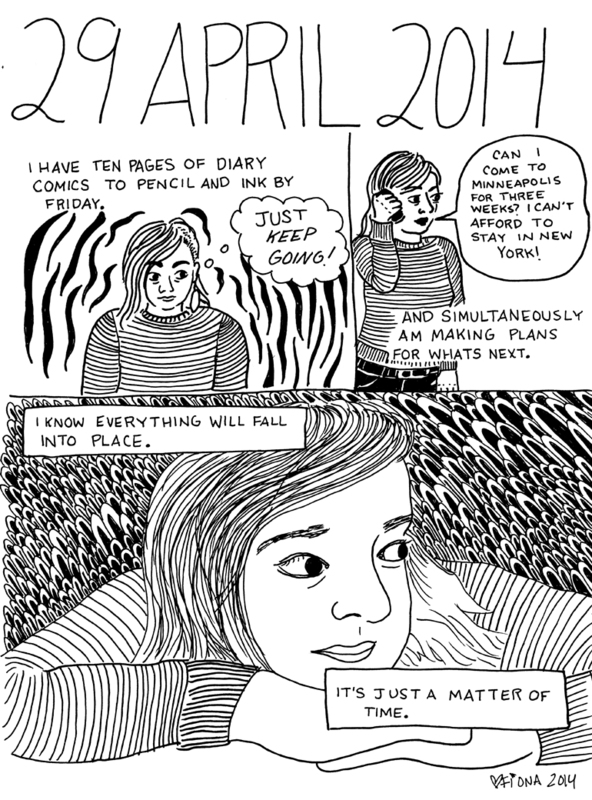 In lieu of getting ready for my next residency in Pittsburgh, as well as tabling at CAKE Chicago, Portland Zine Symposium, and RIPexpo in Providence this summer, I’m doing another promo in my store to raise funds to do ALL OF THESE THINGS! Just use the code HITTHEROAD15 and get 15% until May 30. Thanks for your support! 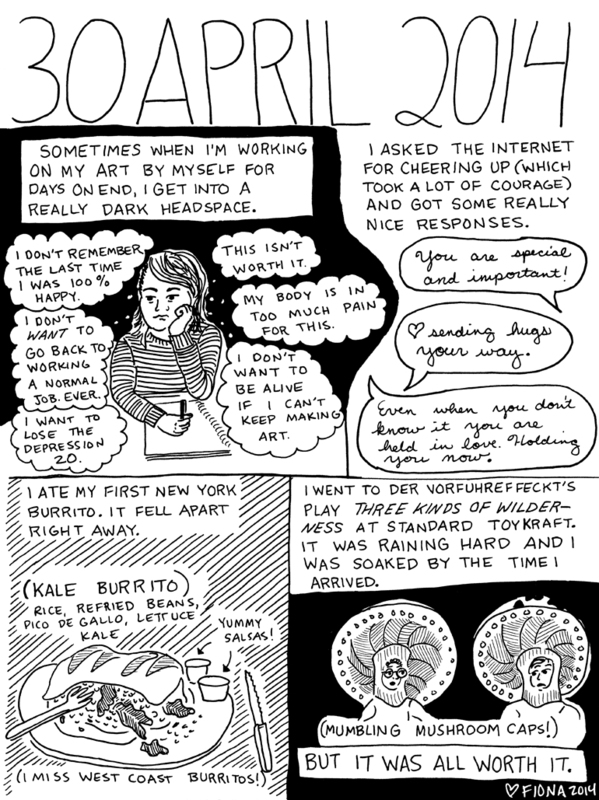 Thirty Days in Brooklyn updates are DONE. Thanks to all of you who followed along for the past month! 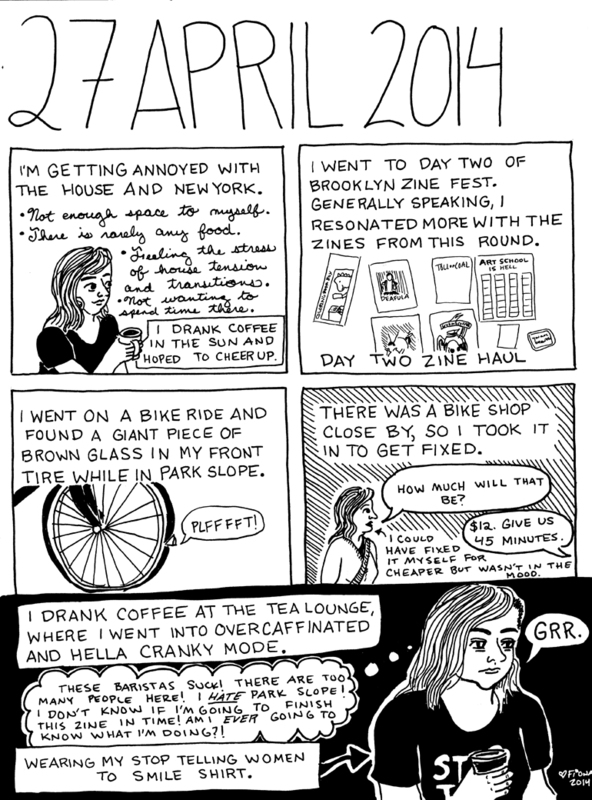 Next up I will be at CAKE (Chicago Alternative Comics Expo) in Chicago from May 31-June 1, where I will have print copies of Thirty Days In Brooklyn. Then, I’m pleased to announce that I will be the June Artist-in-Residence at the Cyberpunk Apocalypse in Pittsburgh!